Country Living: Be sure to check other pages for properties that are somewhat larger or smaller than this as you may find something just right there. And don't forget to look under "Farms" as well. Some of the "Acreage" properties have barns, so if you don't need a home, that is another spot to search. NEW LISTING #1130 - Central Montgomery County - SOLD INSTANTLY Completely hidden on the edge of town, this former doctor’s estate has what it takes to get people excited. There are 37.5 acres, half wooded and the remainder can be pastured or tilled. Nice year-round views from the field, winter views right from the home. Yet this home cannot be seen from any road. Not. At. All. Oh, it has 800 feet of road frontage too. The grounds feature perennial gardens, a small herb garden, a raspberry patch, lots of shade plus a nice lawn. Old stone walls enhance the beauty of the gardens. There are 2 stairways to the second floor. You’ll find a built-in bed in one of the children’s rooms, and good office space. 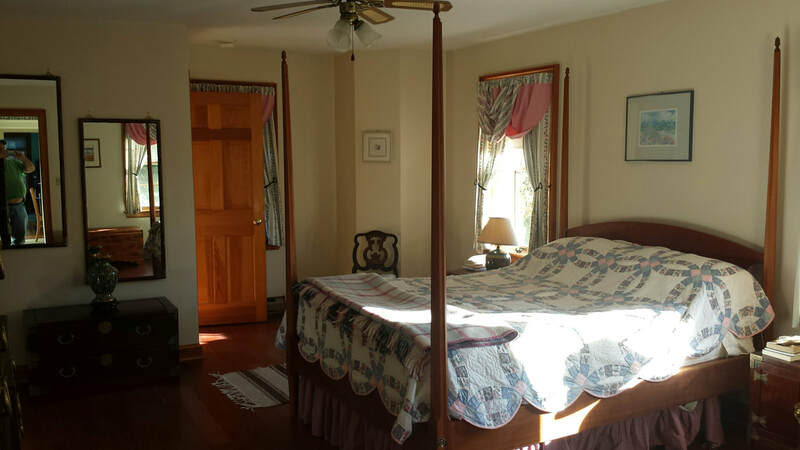 The master bedroom features a walk-in closet.The master bath has a deep jacuzzi tub and there is also a hot tub on the porch, as well as a shower and a sauna just out the back door - so many ways to feel good. Heat is a combination of electric or 2 zone oil hot water, use the one you prefer. There are 2 wood stoves included. 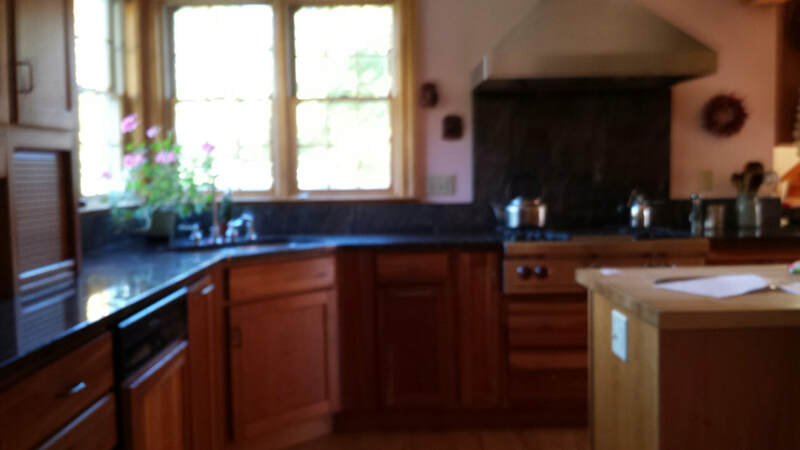 On-demand inexpensive hot water and new wood windows are throughout. Water is from both a drilled well and a dug well. At the top of the field is a spring. Commodious front porch and an attached 2 car garage with storage overhead. There is an equipment shed (12x16’) and an 8x12 or larger shed off the back - both are of wood construction. There is also a kennel with chain link fence. The owner has experienced some health issues and is downsizing, moving closer to the nucleus of her business interests. Taxes are $6000 and we are asking a well-more-than-fair $280000 in order to get a fast sale. It’s a beautiful place - you’ll see. For the very best first-hand information or to schedule a visit, call our salesperson Amy Stetson at 518-332-0158. NEW LISTING - SOLD #1126 - Central Montgomery County Here’s a great spot if you want to live in the country and have some fun with land. There are up to 19.4 acres here, about 1/2 in flat fields used by a neighbor farmer. The remainder is wooded and it varies from flat to steep, as the land falls off down to a large creek. There are a number of apple trees and the home is surrounded by tall spruces and cedars. There is an amazing amount of road frontage here, 2046’. The home sits 125’ off a dead end road. Though not at the very end, it is the only home on the road. Yet with a 5 minutes’s drive you are in town. It enjoys pleasant area views. The Victorian home is in good condition, meaning it is quite livable, but there may be updates you might wish to do at some time in the future. There is a good drilled well. 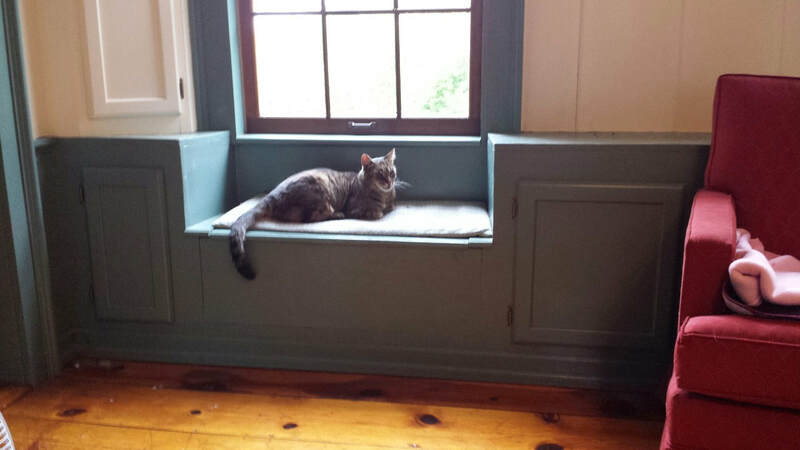 It features 3 bay windows, lots of light. 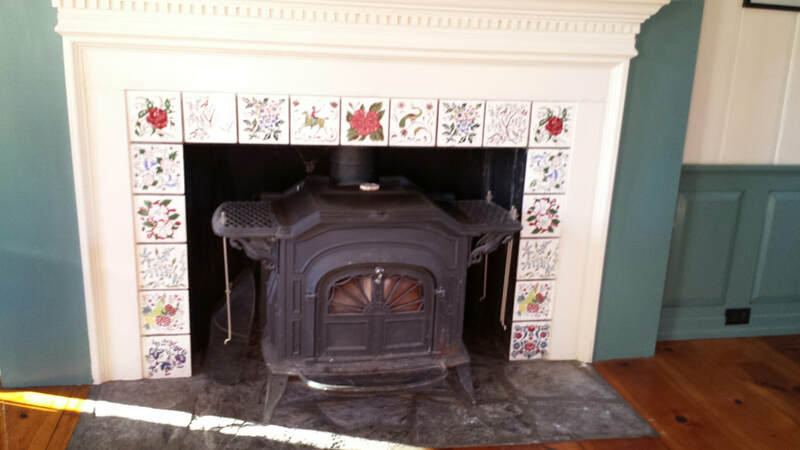 High ceilings, plank floor, a full walk-up attic, a Thermopride hot air furnace in good condition, a new water pump and new electric entrance. Built in 1885, it has 2637’ of living space. Downstairs, one comes into a very large mud room which in turn leads into the kitchen. 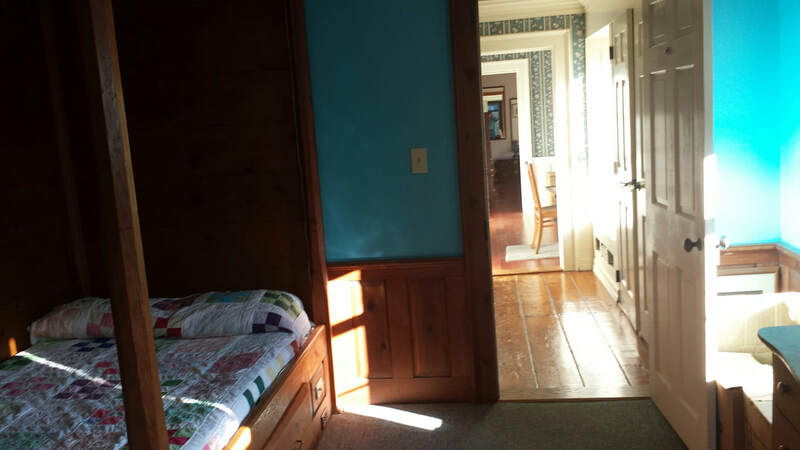 Off that hall are 2 baths - one is handicapped accessible and features a walk-in shower, nothing to step over. The kitchen is an eat-in country kitchen, bright and colorful. The main living room is off this and has a bay window, pellet stove and double French doors leading to the second living room, which has its own bay window. In another direction off the living room is a sunroom, featuring beautiful heavy curved support beams and a slate floor. There is water there so it can be used as a greenhouse if wished. Sliding glass doors lead to a deck which is handicapped accessible. Also on the first floor is a room which can be used as a bedroom or an office. The second floor has 5 bedrooms. One must be accessed through another, so someone might want to turn that into a third bath and a short hall. the bedroom which enjoys the third bay window was planned to be a home clothing shop. 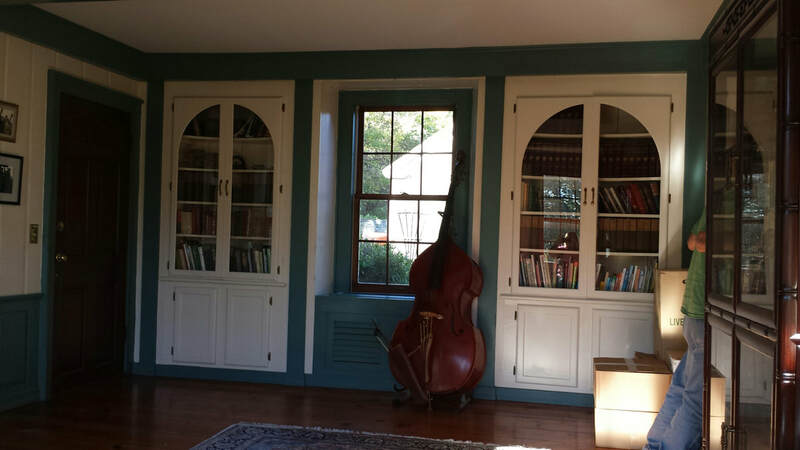 It has floor to ceiling shelving on most walls, which could be used for crafts or a dedicated library. Outside , a 20x28’ hip roof building can serve as a garage, shop, or even a second home with some work. It has enough windows and a finished floor upstairs. And it is heated and has electric. There are some small, older buildings located on the edge of the green space or just within the woods, but they add little value to the total. Included in the home are several wardrobes (yes, there is adequate closet space without them), the pellet stove and all appliances. With 14.5 acres - $149000 (firm). The 4.9 acre parcel (all tillable) across the road would add another $20000. Taxes on both parcels are $4700. Didn't find exactly what you wanted? We maintain good relations with our competitors and, even though they do not specialize as we do, once in a while one of them will have a place. If you spy one, let us know and we will work with it for you. We spend time together so we can see through your eyes. We don't have to give up our good working relationship.